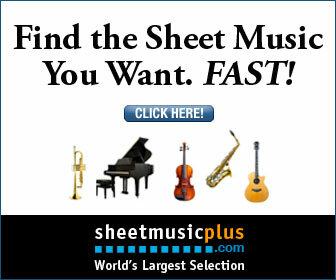 Learning how to read sheet music is essential for anyone who wants to learn to play an instrument. 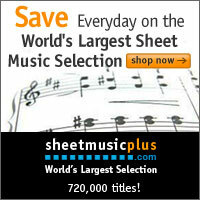 Learning the different clefs is the first step that will help you to read and understand piano sheet music. The treble clef is the first one, the top clef. The notes of the treble clef are the notes of the upper 44 keys on the piano. On the treble clef, the line notes are E, G, B, D, F (starting at the bottom of the clef). The notes laying in the spaces are F, A, C, E (from the bottom). The easiest way to temeber those notes are by using a menmonic. Use "every good boy does fine " for the line notes and the word "face" to remember the space notes in the treble clef. The bass clef contains the deeper notes. The line notes on the bass clef are G, B, D, F, A (starting from the bottom). You can use simple mnemonics to remeber them also. The mnemonic for line notes on the bass clef "Great Big Dogs Fight Animals". On the bass clef we can find the space notes A, C, E, G, and you can remember them easy by using the "All Cows Eat Grass" mnemonic. Using mnemonics will help you to easily remeber which notes to press on the piano. After identifuing which notes to play you will have to make sure your timing is correct. It is very important reading sheet music not only to identify the corect note, but also to hold it down for the right amount of time. Playing the piano is not an easy task, but is a very satisfying and enjoyable one. It will not be easy to learn to play using sheet music and coordinationg your hands on the piano keyboard with the written notes, but with some dedication you will succeed sooner than you think. Like all things it will get better as you practice more. Set aside a few minutes a day to learn how to read the notes on the piano sheet music and you will be on ypur way to a great succes.